This spectacular property has the community Trout Stream on the property itself/bordering it, and is a rare opportunity to own a custom home with everything from a pool, gym, media room and Gourmet Kitchen to a real "tree house" and so close to downtown Leesburg. Something out of a magazine, the custom estate has 360 views, sunsets, a pool/spa . . . all in a vacation-style setting. Your buyers will fall in LOVE and so will you. The home has been updated in recent months with the latest and most sought-after finishes in light fixtures, all baths including a complete "spa" Owners Bath, refinished hardwoods, custom paint, tile and hardware and more.Almost 9000 finished on 3 levels 6000 above-grade, there are not only 5 bedrooms and a professional office with spectacular mountain views upstairs, but the lower level has a custom bar, media room, full gym, 3 additional bonus rooms and a walk-out from a cabana area to a gorgeous pergola and sunsets and mountain views. You are greeted by a beautiful hardwood and marble entryway with high ceilings and a majestic yet inviting curved stair case. The open floor plan breezes you through this expansive yet welcoming estate, with a perfectly-situated sun room designed to enjoy the rolling scenic vista, a stone-faced fireplace in the great room off of a beautiful Gourmet Chefs Kitchen. For the entertainer, a private coffee or beverage pantry adorns the formal dining room and the kitchen. To paint the perfect picture of living on acreage while saturating the indoors with the outdoors, one should take a minute to pause while peering out the breakfast room and the windows of this home at the serenity in this setting. No detail or buyer~s want was overlooked when adding a custom media/hobby room with multiple technical stations located conveniently off the kitchen near another side entrance and the all-important custom-tiled mudroom, also with its own organizational station of built-ins.The family room accesses several do the gorgeous in-ground pool and spa, with what is this propertys coveted Trout Stream actually on this property and not just in the community itself. If the walking paths and owning some of the great outdoors isnt enough, this home uniquely has a "real" tree house and is a must see! A barn used for storage is also on the property, and the subdivision or Big Spring Farm allows and has horses to which this lot is itself over 10 acres. 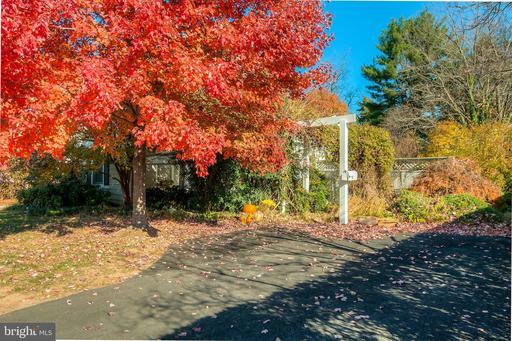 Many are not aware of the spectacular meandering spring-fed Trout Stream the last in Northern Virginia which runs along much of the 2-Mile River Walk on this property straight to the Potomac along the private walking/horse trails. There is a community gazebo/picnic area at historic barn and streams and a reason this neighborhood is so sought-after and so special, with its 450 acres of open space and only 55 homes. With no through-streets and only minutes to downtown, historic Leesburg, the owner of this home will enjoy living in the country with the amenities of a very special Town.While accessing important commuter routes and the Toll Road nearby, this home is 20 miles from Dulles Airport, grants golf memberships available across the street, offers a historic ferry adjacent to the community to ride into Maryland, is minutes to schools and the downtown shops and restaurants and benefits from area wineries and horse country contributing to the vacation-style living this homeowner will adore, in beautiful Leesburg, VA.
A marvelous, large 4-bedroom, 3.5 Bath townhouse n Manassas Park with 2 assigned parking spaces in front! Finished on all 3 levels all above-grade, so tax record is incorrect!. 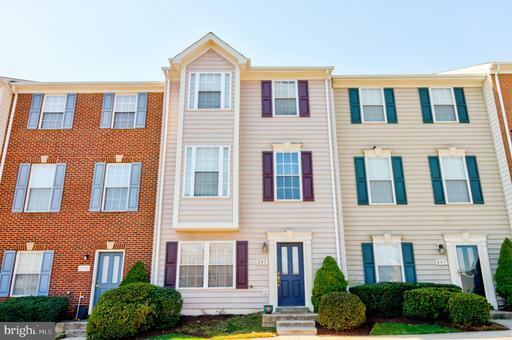 This town home is a "true" 4 bedroom with a main level entry bedroom and a Jack-and Jill bathroom connecting it to the wonderful recreation/game room. This level walks out to the rear yard. Upstairs you find a Gourmet Kitchen with granite counters and island, along with a spacious breakfast room and lots of natural light. Enjoy the inviting living area with windows to bring the sun in! A powder bath is conveniently-located for guests, and then we venture to the bedroom area. The Master bedroom has its own large bathroom, and 2 additional bedrooms on this level share another 3rd bath. Put your grill and picnic table out back in the great year yard with a privacy fence behind it, and there is a nearby tot lot for play!